Learn your way around your Pathwright account as an admin. Take a 60-second tour of the primary places in your account. The Library is primarily learner-facing. If you make your courses Public, anyone can discover and self-enroll in courses from your Library page. If you make courses Members-only, anyone who is a member in your school can discover and self-enroll in courses from your Library page. If you keep all your courses private and invitation-only, then you won't really use the Library page, but you can still access all courses there as an admin. Your Home page is where any member can quickly access their courses. 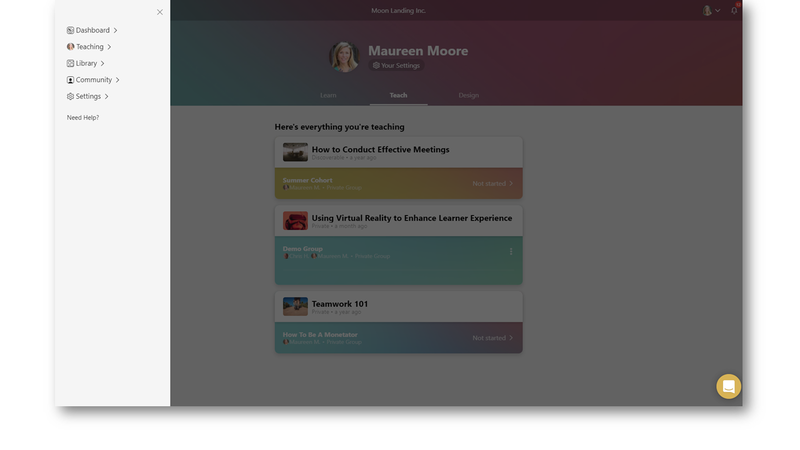 Learners will have a Learn tab that lists all the courses they are taking as learners. Teachers can access all the courses they are currently teaching from their Teach tab. 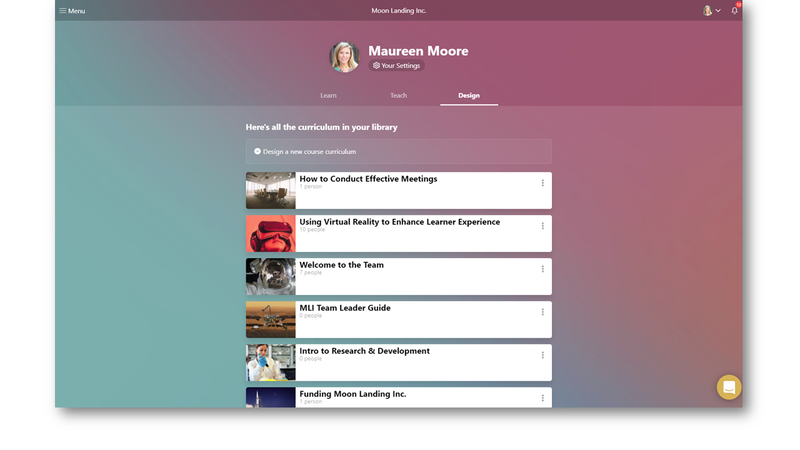 Admins and editors can access the Master version of any course from the Design tab if multiple cohorts are enabled for the account. 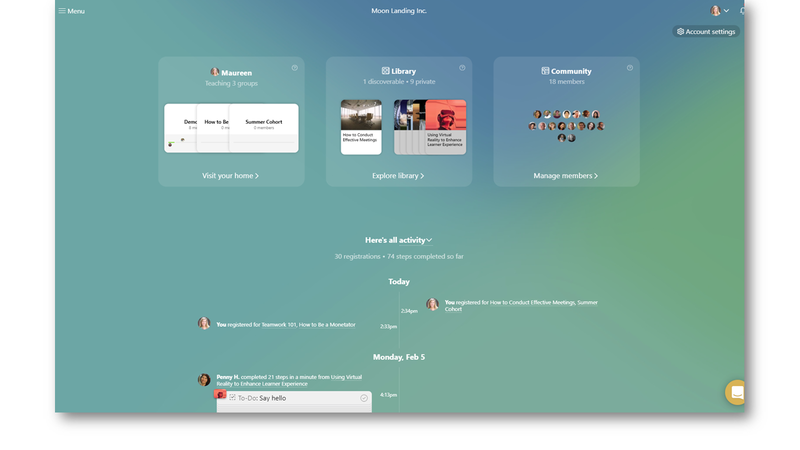 The Dashboard is accessible only to account administrators and it gives you a bird's-eye overview of activity in your account using the activity feed, along with quick access to all the other main areas of your account: Library, Teach, Community, Settings. Use the Menu in the upper left corner to quickly jump from one place to another. Need to invite additional staff members? See how to invite additional admins and editors or how to invite someone to a course.